Millions of Americans need gum disease therapy. How can you know if you’re one of them? Common warning signs include loose teeth, bleeding after brushing or flossing, and a receding gum line. Fortunately, gum disease is easy to treat if caught in the early stages. Bad breath that sticks around even after using mouthwash or brushing your teeth. 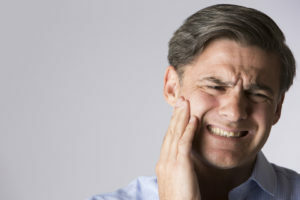 Pain in your teeth or gums during or after eating. Teeth that appear to be getting longer or gum tissue that’s contracting. Diabetics are more likely to develop gum disease than nondiabetics. Medication side effects. For example, some types of antibiotics can reduce saliva flow, making tooth decay and gum disease more likely. Not only cigarettes but all types of tobacco products can have devastating effects on your teeth and gums. Tobacco compromises your immune system, erodes your teeth’s protective enamel, and contributes to dry mouth. Now is the time to quit. Hereditary factors. Certain population groups are more likely to develop dental issues that others. This is why it’s important to know your family’s health history. Chronic diseases such as cancer and AIDS. Medications and medical techniques used to treat these conditions can impact your oral health, either by hindering your immune system or interfering with your body’s nutritional process. Chemotherapy drugs are one example. Dietary choices. Sugars and starches are the raw fuel that harmful bacteria uses to attack your teeth and gums. Also, not eating enough fruits, vegetables, and lean proteins sources can weaken your teeth and irritate your gums. Lack of dental hygiene. Perhaps the most common cause of tooth decay and gum disease is neglecting to brush and floss daily or skipping regular dental appointments. Only a professional cleaning can remove built up plaque and tartar. Antibiotics to eliminate the underlying infection. Deep cleaning. Either the dentist or dental hygienist groups away tartar above and beneath the gum line. Another technique, called root planing, removes tiny infections in the teeth that can serve as gathering places for germs. Coaching on proper tooth care habits. Bone grafts. This approach uses bone tissue from another part of the body to undo the effects of jawline erosion. Full or partial dentures. The dentist may recommend a traditional adhesive denture plate or one supported by implants. Crowns or bridges. These therapies are useful in cases where the patient still has some healthy teeth. Dental implants. This approach requires that the patient have a sufficient amount of healthy underlying bone to support the restoration. However, the functional and aesthetic benefits are often dramatic. There’s no reason for anyone to suffer needlessly from gum disease. Make an appointment to see your dentist soon if you notice any of the symptoms outlined in this post. Soon you’ll be well on your way to regaining your smile. Dr. Dennis Stansbury has been practicing dentistry for more than 40 years. He earned his DDS degree from Baylor College of Dentistry in Dallas. You can reach his office online or by calling (903) 561-1122.